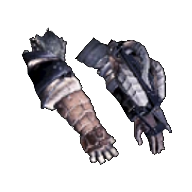 Hunter's Vambraces or Gloves in Monster Hunter World (MHW) is a type of Arms Armor and part of the Hunter's Armor Set. All Armor pieces come in male and female appearances, but share the same stats regardless. 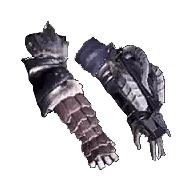 Armor widely used among hunters. Light and tough.